Guitar students have the opportunity to learn all styles of music, from folk and rock to jazz and blues. Lessons are interactive and fun, and include technology as well as traditional materials for learning. Students also work on fundamental musical concepts such as rhythm, note reading, scales, ear training and song structure. 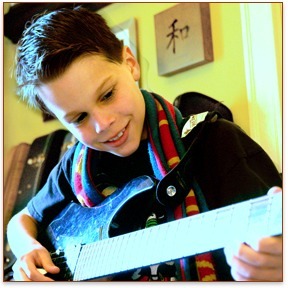 Guitar lessons are offered for all levels of students from age 8 through adult. For students younger than 8 years old, please contact us to discuss options. 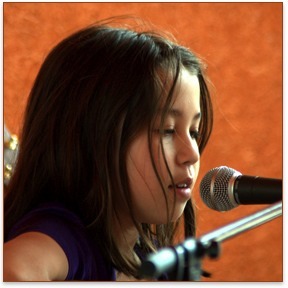 Singing lessons include vocal warm ups, simple body stretches, ear training, basic music theory and of course singing! Students can choose which songs to sing or we can offer suggestions based on the age, level of experience and interests of each student. Styles taught include pop, Broadway, rock and jazz. Singing lessons are offered for all levels of students from age 8 through adult. Songwriting is a wonderful form of creative expression. Students learn about song structure, lyric writing, melody and harmony, and how to use basic music theory while writing songs. Most students combine songwriting with either guitar, piano or singing lessons, however songwriting can be available independently. Students also have the opportunity to record their original material, therefore learning about the recording process and how to use simple music technology to aid in songwriting. 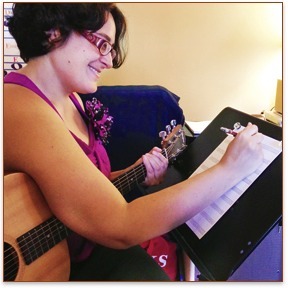 Songwriting is offered to students age 8 through adult. Piano students work through the Alfred Piano Book Series which includes songs, technique and music theory. Students learn note reading in both bass and treble clefs, rhythm, melody and harmony, scales and ear training. Additionally, students can choose other material such as classical, Broadway or pop songs to supplement their practice. 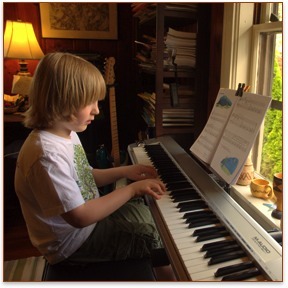 Piano is offered to beginning and intermediate students from age 6 through 18. Music Technology lessons introduce students age 12 through adult how to sequence, loop, record, mix, sample and arrange using a digital audio workstation. 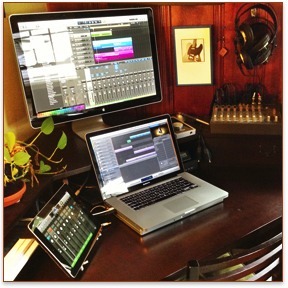 Garageband, Logic Pro, Finale and many other software applications and plug-ins are explored. Depending on the student's interests, we will also look at MIDI, the setup and use of mixers, audio interfaces, effects and other hardware components. Students will have an opportunity to compose, arrange and notate their own music using software on a laptop or utilizing iOS devices such as the iPhone, iPad and iPod Touch.